General Hospital Spoilers: Will Drew and Kim Give Romance Another Try? 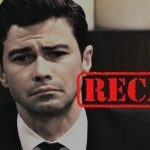 General Hospital spoilers tease that all the drama over Oscar Nero’s (Garren Stitt) brain tumor, and standing together against a common foe (Oscar’s cancer) may be drawing Drew Cain (Billy Miller) and Kim Nero (Tamara Braun) together again romantically! Now that Kim seems to have dumped Julian Jerome (William DeVry), not being able to trust him and Drew is just kind of floating around as far as any romantic relationships are concerned, it’s possible Drew and Kim may try a new romance. Kim definitely harbors old feelings for Drew, and even though Drew doesn’t consciously remember his past relationship with Kim, it doesn’t mean there aren’t some buried feelings for her. After all, his love for Sam McCall (Kelly Monaco) was mainly based on his twin Jason Morgan’s (Steve Burton) memories, not any shared experiences between he and Sam. There is definitely some bonding that has taken place between Drew and Kim, even though it is mainly because of Oscar and his illness, and nothing romantic at least on the surface. There have been several times when Drew’s own memories, or at least some of them, have seemed close to coming back to his consciousness, and perhaps they may indeed start surfacing on their own without having the memory mapping procedure reversed. Some of his strongest memories may be of Kim and the love they once shared, which apparently was interrupted by his kidnapping for the memory mapping project! Kim undoubtedly remembers many things about Drew, and about their relationship and past that he doesn’t. Without his own memories, a new romance may not be like it was in their past, but it may be a new start and a way to make new memories. Will Drew and Kim take a chance at a new romance? Keep watching GH and checking General Hospital spoilers frequently to see what happens down the line!